Your started e-mail will not be deleted. You can start a new e-mail and send another more important e-mail to a contatct. You can compose up to five e-mails at the same time. 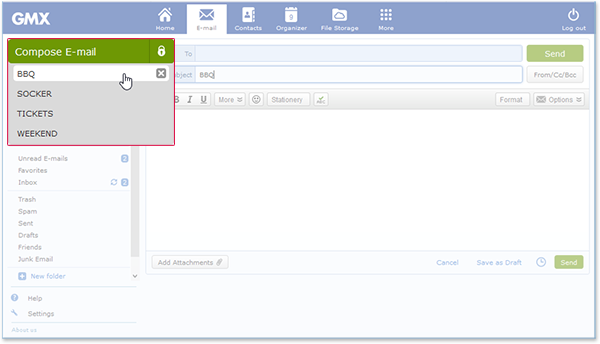 To compose multiple messages at once, click on Compose Mail while you are composing a message. Another e-mail will open. Click on the subject in the tab bar to get to your specific message.